There are alternatives to floral bouquets. 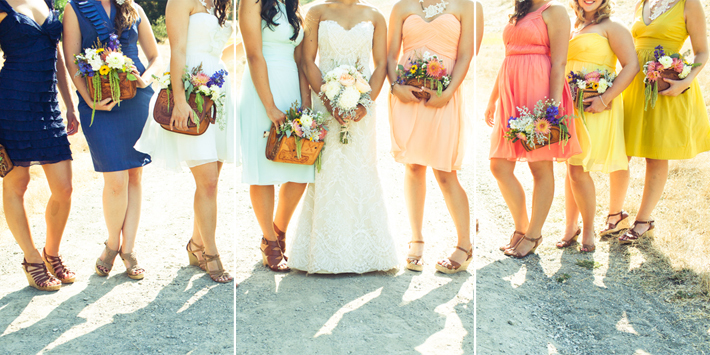 If you think outside the box, options for what your bridesmaids can carry are nearly unlimited. 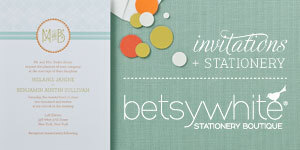 Some of the items are great for bridesmaids to use after the wedding. 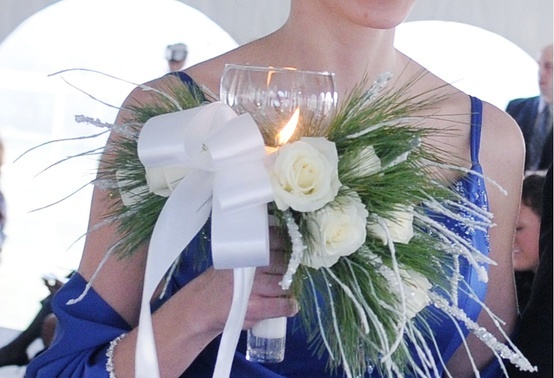 Some brides give their lovely ladies something to carry that serves a dual-purpose – like candles or lanterns that are both charming and adds to the ambient light as well. 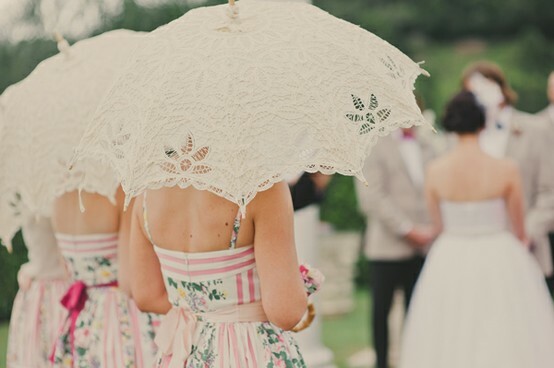 There’s also a wide range of other accessories bridesmaids can use, everything from similar clutches and colored fans to pretty parasols and pinwheels. 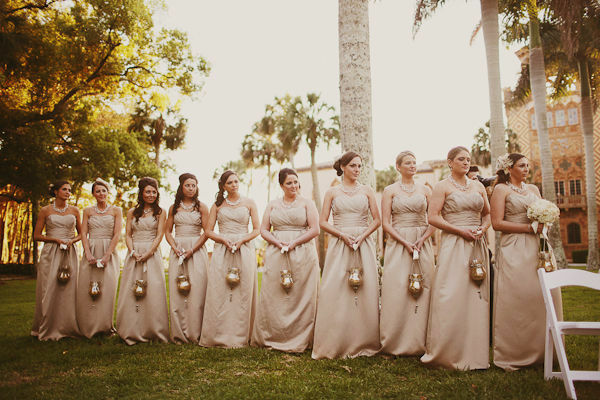 There have been brides that have allowed their bridesmaids carry a fanciful bunch of balloons or fiery awe-inspiring sparklers down the aisle. 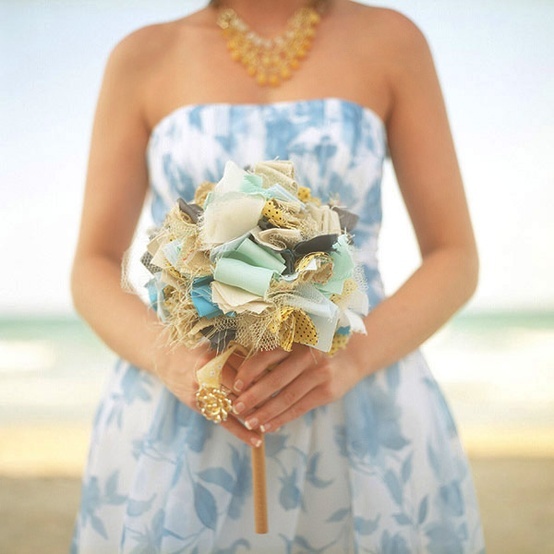 When choosing your bridesmaid bouquet alternative, be sure to keep in mind your wedding theme, your colors, and the overall feel you are going for. Pinwheels add a playful touch to your wedding day and are perfect for spring and summer weddings. 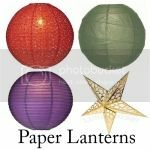 Lanterns are great for evening or outdoor weddings and can fit in nicely with a country or vintage theme. 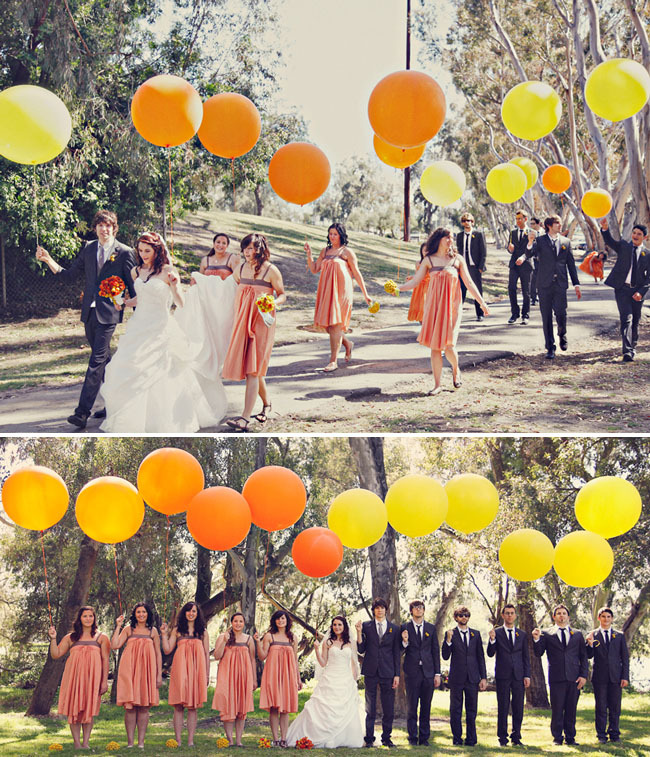 Balloons bouquets are great for weddings. 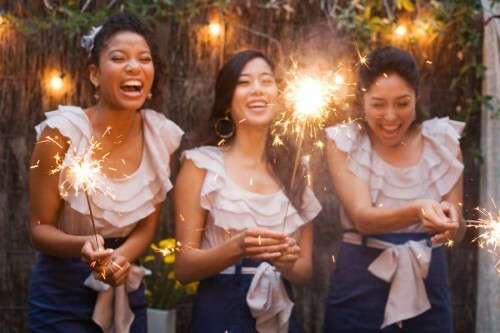 They add color and joy to all special events. 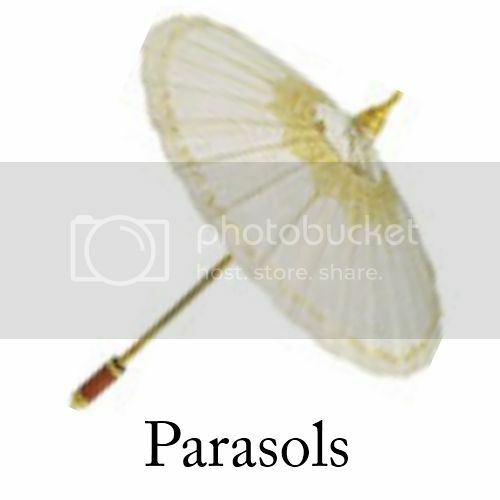 Parasols are fun and whimsical and are incredibly practical for an outdoor summer wedding. 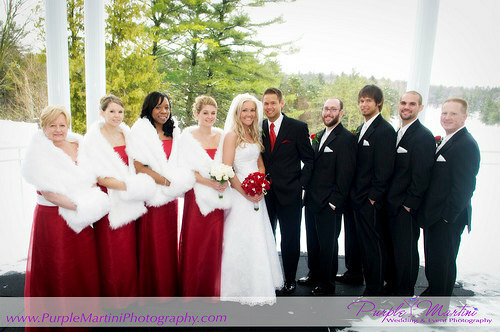 Fur muffs are great for winter weddings. They look classic and elegant especially when paired with dresses in rich colors like brown and red. 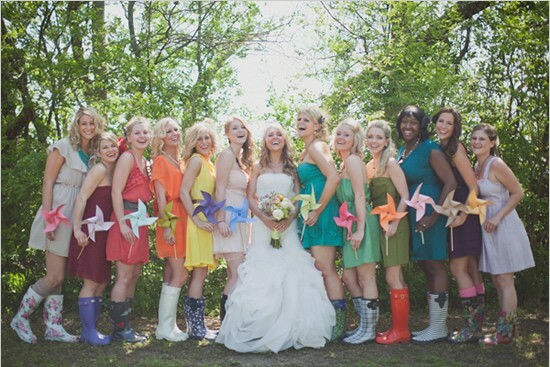 Fans can add an exotic flair to your day, and if your wedding is outdoors, your bridesmaids will appreciate carrying a fan all day. 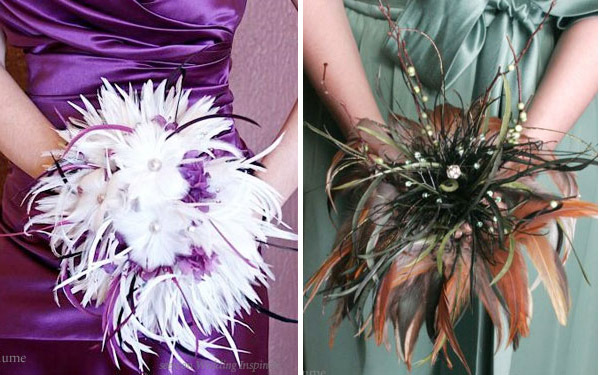 Feathers to add texture and dimension to create that stunning bridal bouquet. There are many different types of feathers that can be used depending on the overall look and feel of the wedding. 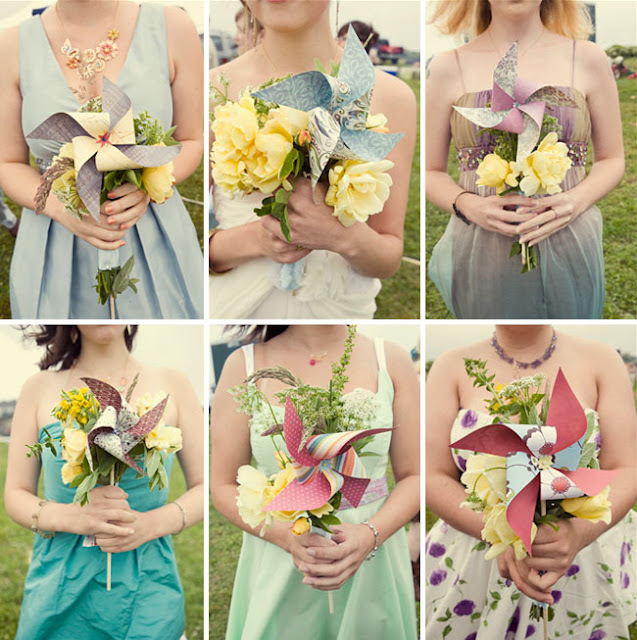 If you like the idea of flowers, but still want to be unique, have your bridesmaids carry a basket full of flowers. 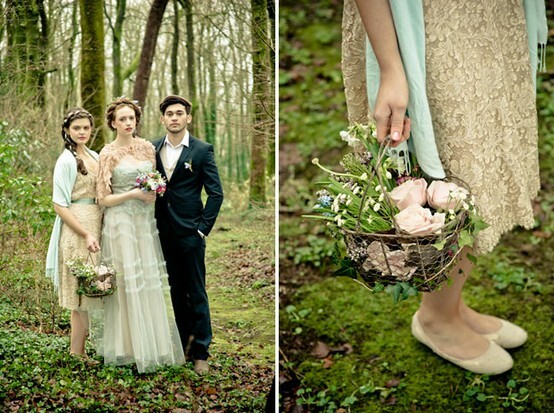 This look is perfect for shabby chic weddings. 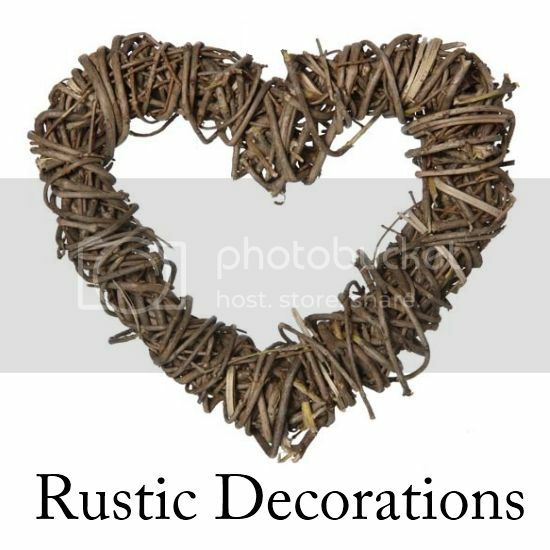 Search through flea markets and antique stores for unique looking baskets. A clutch in a coordinating color is a great alternative to flowers, and your bridesmaids will have a place to keep some small necessities during the wedding. 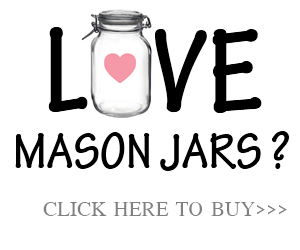 And they are great for bridesmaids to use after the wedding. If you want to be really unique, forget the bouquet altogether, and instead have your bridesmaids wear dramatic headpieces or hats. 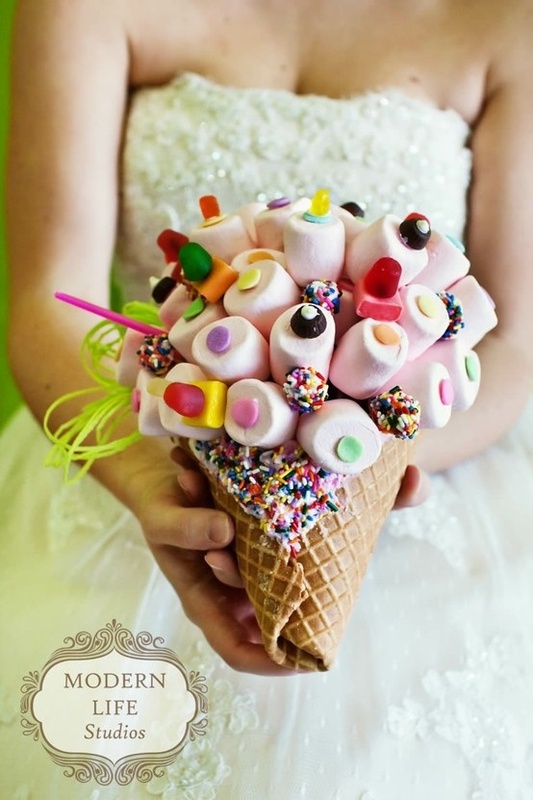 Candy bouquets are an incredibly delicious option. 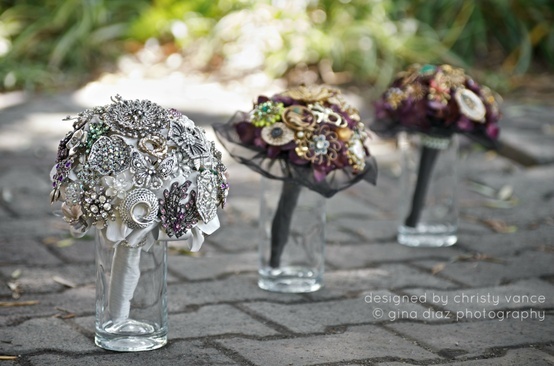 Have your bouquets made out of vintage buttons and a few leaves of reclaimed leather or felt. 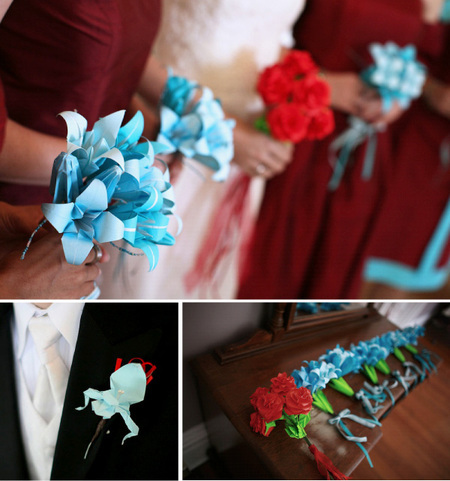 I'm a big fan of the origami and there are just so many cool options. 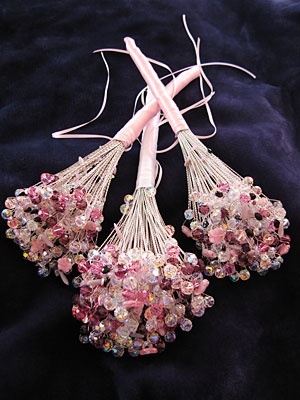 Beaded bouquets are fun, sparkly and festive. They look like fireworks that you can hold! 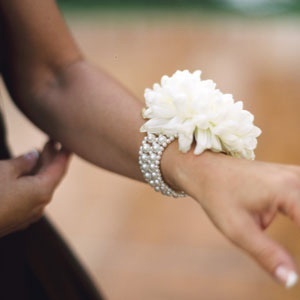 Wrist corsages are similar to a bracelet which is decorated with flowers. 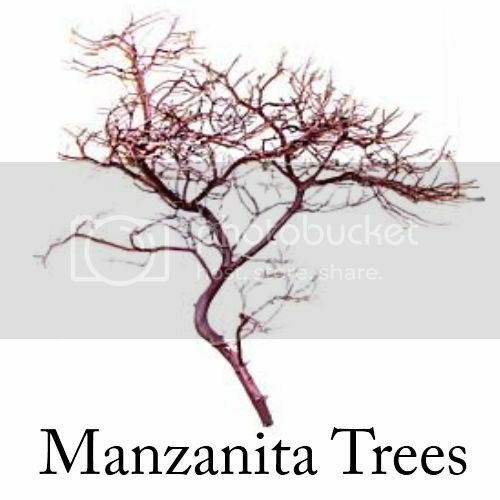 It could be fresh or fabric flowers with beads and other accents.